Collection of photographs of Union Bleachery and community from the Union Bleachery Historical Society. 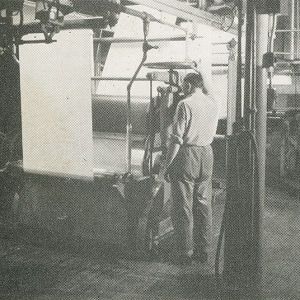 Union Bleachery began operations in September 1903. After struggling for a few years, the plant began to expand when John White Arrington was hired as manager and later president. Over the years the plant has changed hands several times, but Union Bleachery continued to operate until November 7, 2003 when a major fire destroyed a large part of the mill and the company closed as a result.